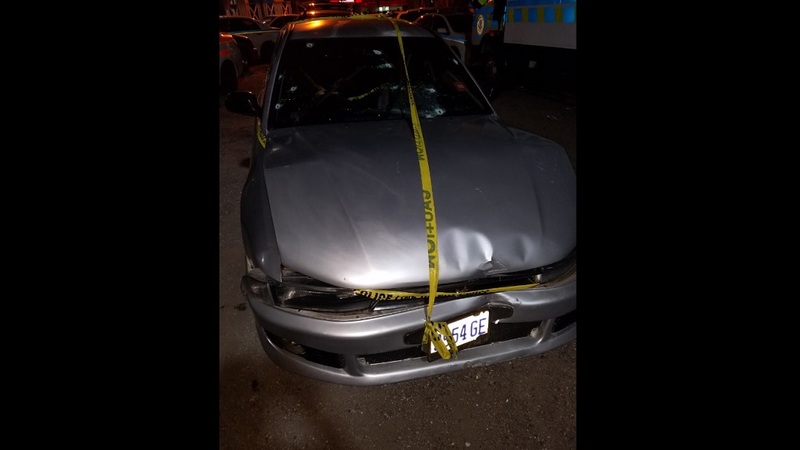 The bullet-riddled car in which a St Ann man on the police's radar was killed by attackers on a motorbike in the parish on Saturday morning. 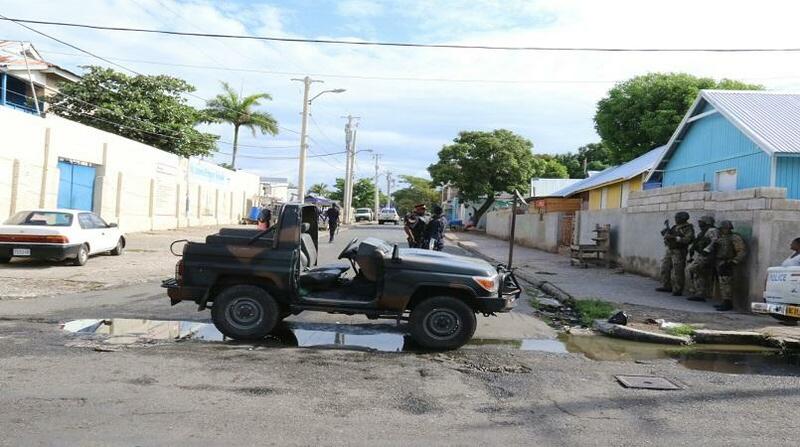 The deceased has been identified as McGuyver McDonald, who was of a Runaway Bay, St Ann address. Reports are that about 11:00 a.m., McDonald was driving along the roadway in Clay Ground, St Ann, when he came under heavy gunfire from men traveling on a motorcycle. McDonald reportedly lost control of the vehicle and crashed into a utility pole. After the collision, the bikers continued to spray him with bullets. The police were called and upon their arrival, the body of McDonald was seen slumped in the motorcar with multiple gunshot wounds. 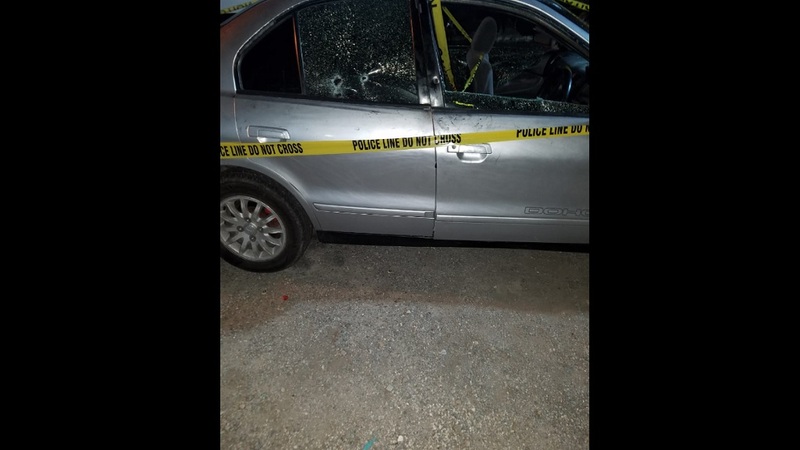 Another angle of the bullet-riddled car in which a St Ann man was killed by attackers on a motorbike on Saturday morning. The vehicle was riddled with bullet holes. A total of 21 spent shells were found on the scene, including 11 M-16 casings and ten 9mm shells. At the time of his death, McDonald was on a charge of shooting, and was said to be reporting to the St Ann police as a condition of his bail. 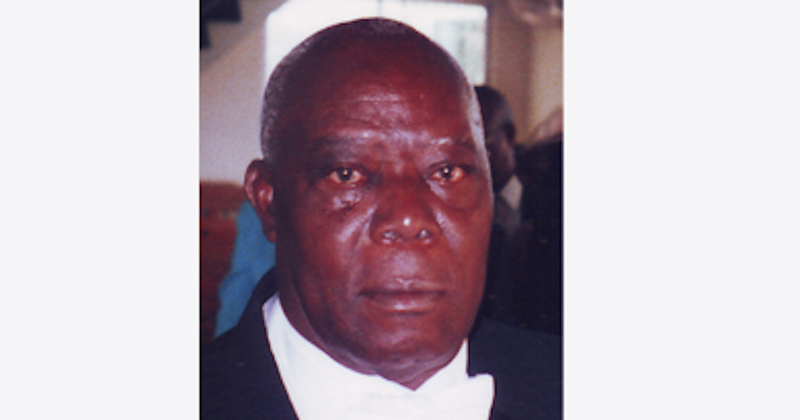 The police are yet to establish a motive for the killing.